Definition at line 43 of file llcubemap.h. Definition at line 58 of file llcubemap.cpp. Definition at line 64 of file llcubemap.cpp. Definition at line 180 of file llcubemap.cpp. References gGLManager, glEnable, llendl, llwarns, LLGLManager::mHasCubeMap, mImages, and use_cube_mipmaps. Referenced by LLDrawPoolBump::beginShiny(), LLPipeline::blurReflectionMap(), LLPipeline::generateReflectionMap(), LLRenderShinyGlow::render(), LLDrawPoolBump::renderGroup(), and LLDrawPoolWater::shade(). Definition at line 441 of file llcubemap.cpp. References i, mImages, NULL, and S32. Definition at line 220 of file llcubemap.cpp. References gGLManager, glDisable, LLGLManager::mHasCubeMap, and mTextureStage. Referenced by LLDrawPoolBump::endShiny(), LLPipeline::generateReflectionMap(), initGL(), and LLRenderShinyGlow::render(). Definition at line 199 of file llcubemap.cpp. References gGLManager, glEnable, LLGLManager::mHasCubeMap, and mTextureStage. Referenced by LLDrawPoolBump::beginShiny(), and LLRenderShinyGlow::render(). Definition at line 175 of file llcubemap.cpp. Definition at line 165 of file llcubemap.cpp. References gGLManager, initGL(), initGLData(), initRawData(), and LLGLManager::mIsDisabled. Definition at line 68 of file llcubemap.cpp. References disable(), FALSE, gFeatureManagerp, gGLManager, i, LLFeatureList::isFeatureAvailable(), llassert, llendl, llwarns, LLGLManager::mHasCubeMap, mImages, LLGLManager::mInited, mRawImages, mTargets, stop_glerror, TRUE, and use_cube_mipmaps. Definition at line 157 of file llcubemap.cpp. References i, mImages, and mRawImages. 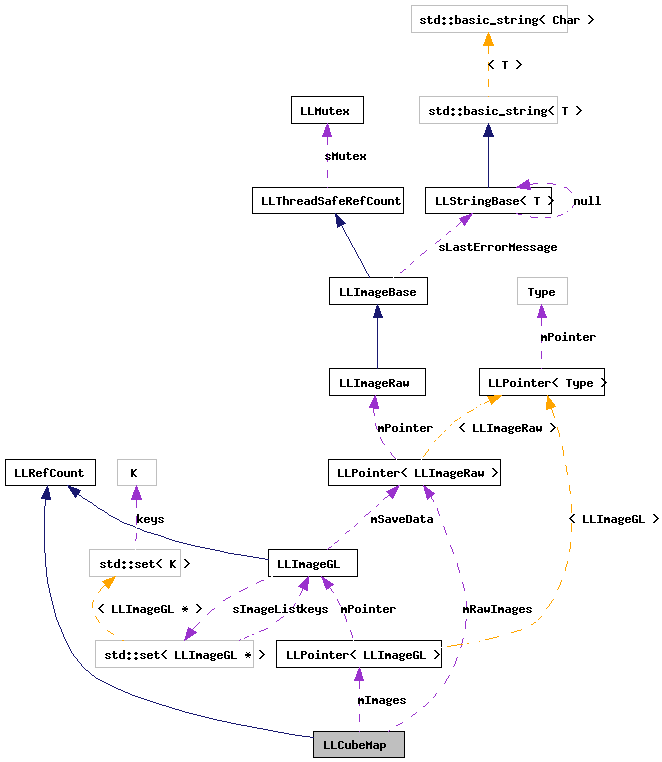 Definition at line 111 of file llcubemap.cpp. References i, mRawImages, S32, tut::sd(), x, and y. Definition at line 263 of file llcubemap.cpp. References LLVector3::mV, LLVector3::normVec(), and RESOLUTION. Definition at line 406 of file llcubemap.cpp. References map(), mImages, mRawImages, LLColor4U::mV, LLVector3::normVec(), project(), RESOLUTION, and v.
Definition at line 374 of file llcubemap.cpp. References epsilon, f, FALSE, llmax(), llmin(), project(), RESOLUTION, and TRUE. Definition at line 310 of file llcubemap.cpp. References e, epsilon, f, FALSE, LLVector3::mV, RESOLUTION, and TRUE. Referenced by paintIn(), and project(). Definition at line 255 of file llcubemap.cpp. Referenced by LLDrawPoolBump::endShiny(), and LLRenderShinyGlow::render(). Definition at line 235 of file llcubemap.cpp. References gGLModelView, glLoadMatrixf, LLMatrix4::mMatrix, mMatrixStage, LLMatrix3::setRows(), LLMatrix4::transpose(), x, y, and z. Definition at line 73 of file llcubemap.h. Referenced by bind(), destroyGL(), getGLName(), initGL(), initGLData(), and paintIn(). Definition at line 76 of file llcubemap.h. Referenced by restoreMatrix(), and setMatrix(). Definition at line 74 of file llcubemap.h. Referenced by initGL(), initGLData(), initRawData(), and paintIn(). Definition at line 72 of file llcubemap.h. Definition at line 75 of file llcubemap.h. Referenced by disable(), and enable().